Do you wish for easy no-heat curls? Is it hard to get that winged eyeliner done? It takes a lot of efforts and time to rock your every look. You always strive for perfection before you step out. Everyone wants their makeup and hair on point. But it makes it hard to be on time always. But a few beauty and hair hacks and reduce your efforts and the time you take. 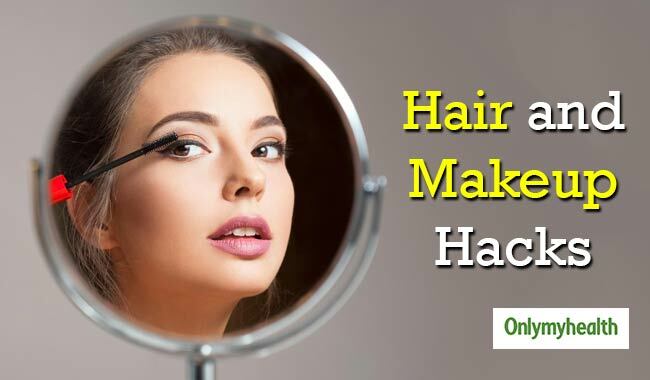 Here are some beauty and hair hacks which you can try and still look perfect all the time. Are you also a fan of those curls? But it takes a lot of time efforts to achieve those beautiful curls. Your curling machine can also damage your hair. Too much use of heat can damage your hair and promote hair fall. But there is a way to curl your hair without heat. All you need is a headband. Wrap a headband around your head while your hair is slightly damp. Part your hair into two sections first. Now take one section and start wrapping it around the headband. 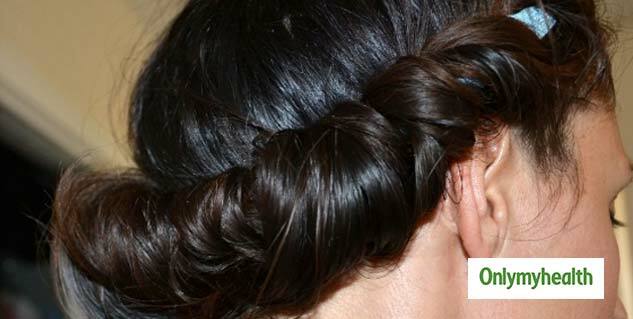 Once you are done with both the sides, secure your hair with a bobby pin. Now let your hair dry completely. If you are in a hurry then you can use your hair dryer to speed up the process. Once your hair is completely dry, unpin your hair. Your curls are ready. You can also use a hair spray to set your curls well. The winged eyeliner has grabbed everyone's attention. Almost everyone tries to get that perfectly winged eyeliner before they step out. But winged eyeliner can take a lot of time. Sometimes you fail after several attempts and end up with extremely thick eyeliner. Do not worry here is a hack to solve your problem. Take bobby pin to ace winged eyeliner. Use the end of the bobby pin which is V in shape to make the wing. Take your eyeliner and apply it on the V on the eyeliner. Now place it on the end of your eye where you want the wing. The wing of the liner is ready. Now using your eyeliner fill the wing and extend it to the other end of the eye just like you put a normal eyeliner. Try this hack and make exactly the same wings on both the wings. You have applied your correct shade of nail polish which matches your outfit the best. But it is still wet and you have to leave immediately. What can you do in such a situation without messing your nail paint? Do not worry here is a hack for you to dry your nail polish quickly. Just take a bowel and put some ice into it. Add some water to it. Not keep your hands in the chilled water for a few minutes and you are good to go. Matt is the new trend. If you do not have any certain shade in matt effect then do not worry you can convert your gloss lipstick into matt. Simply apply your gloss lipstick as usual. Now take some translucent powder or setting powder and apply it all over your lips. You can use a brush to apply the powder properly. If you are in a hurry and you want to convert your gloss lipstick into matt instantly. Just simply grab a tissue and put place it between your lips and press your lips on the tissue paper. The tissue will absorb all the extra oil and moisture and will give the matt effect instantly.